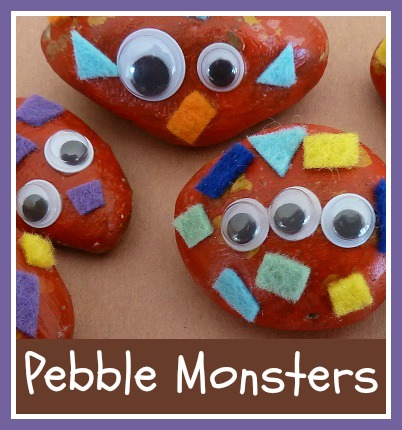 Pebble monsters are really sweet and easy to make, and they are a really fun craft both to make with little ones and to display around the house and garden. All you need is a selection of pebbles in different shapes and sizes. To paint them, I found that acrylic paint works best (although you have to be careful with little ones as it can be difficult to wash out of clothing). Paint one side first, then when it is dry, flip over to paint the other side. You can use a single colour for each pebble, or go for a more marbled effect by using lots of different colours at once. You can choose whether to stick to natural stone type colours, or make them as bright and colourful as you like. Pop them in a plant pot in the house. Leave them in a geocache. ps - could you weatherproof with shellac? Yes that probably would work really well! Especially if you just stuck to painting them. I'm glad that you liked them! Hey iv been reading ur blog everyday of late and i like everythng gr8 post bdw. 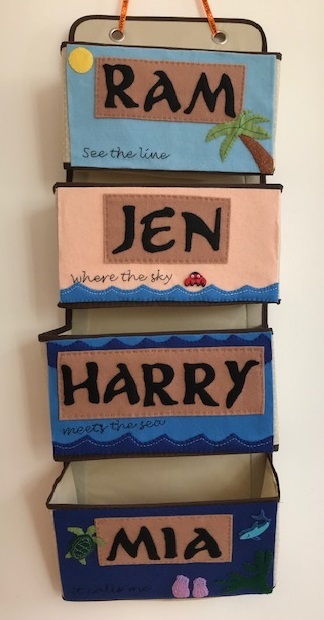 I just love the idea of leaving them on the beach! Above the tide line though. Or in a geocashe. They really are lovely. I think that some of them may well make their way back to the beach! I love the idea of leaving them places for others to find them. Maybe on a stile or near a river! Lovely ideas! I think I'm going to need to make more and keep some in my bag to leave in fun places! my friend made my son some of these for Christmas. They are so cute. Unfortunately my son spent Christmas morning pealing all the googley eyes off the pebbles! obviously he didn't share my appreciation of them. v. much enjoyed making these this weekend -- discovered that you can stick stones together pretty well with UHU White Tack to make head/body structures-my turtle rocks! White tack also means you can recycle the eyes. These are adorable! I love the stickers! Brilliant.